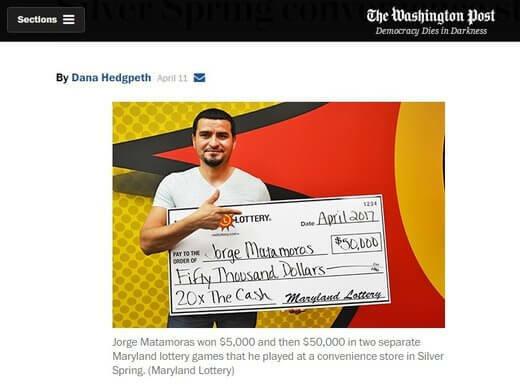 His first win came in March when a “20X The Cash” instant ticket he bought from the 29 Convenience Mart in Silver Spring revealed a $5,000 prize. Then a few weeks later he went to the same store and bought the same type of instant ticket and won a more substantial $50,000 prize. He said he did not really expect another big win after the first. But lottery officials were quick to point out that it was pure lottery luck. The lucky man says he wants to use his winnings to pay off debts and to start a business of refurbishing and selling houses.